The Daniel O’Connell Memorial Church of the Holy Cross, a Gothic Revival-style Church designed by George C. Ashlin. East, West & South Elevations published in The Architect 1888. 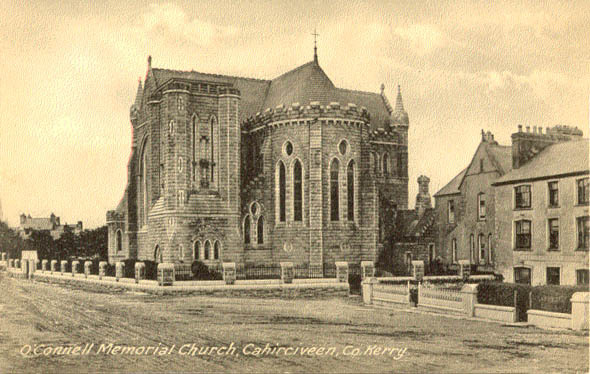 It was constructed of mass concrete with a fine granite facade between 1886 and 1892, and finally opened for mass in 1902. 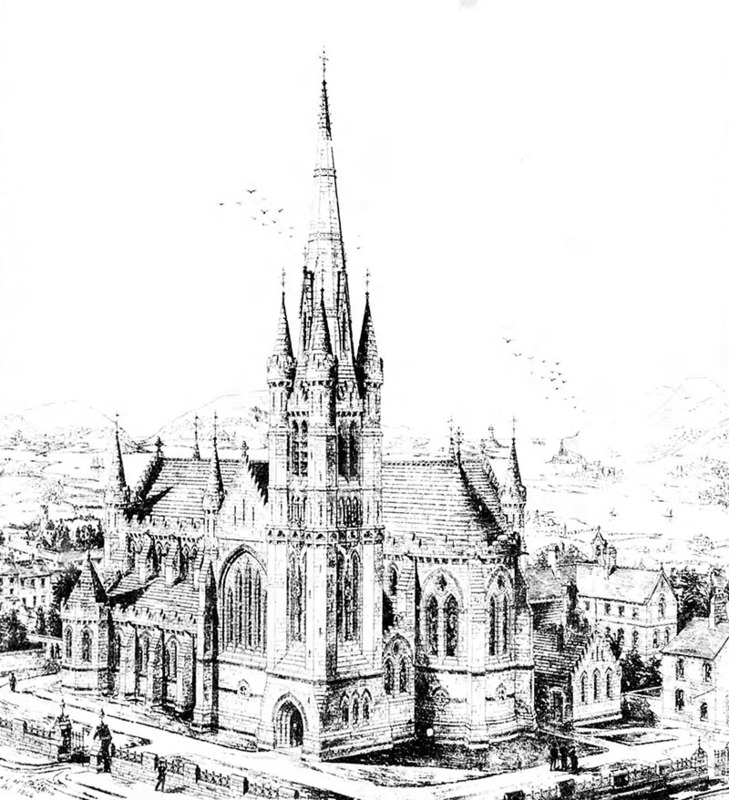 The 90 ft tall tower and 168ft tall spire illustrated were never completed. 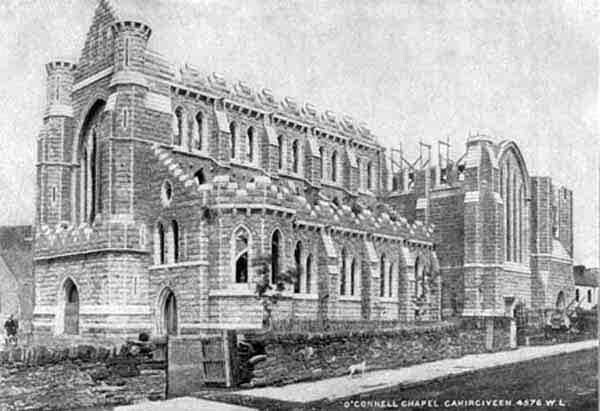 According to The Irish Builder, July 1 1885: “The church is to accommodate about 2,000 people…. 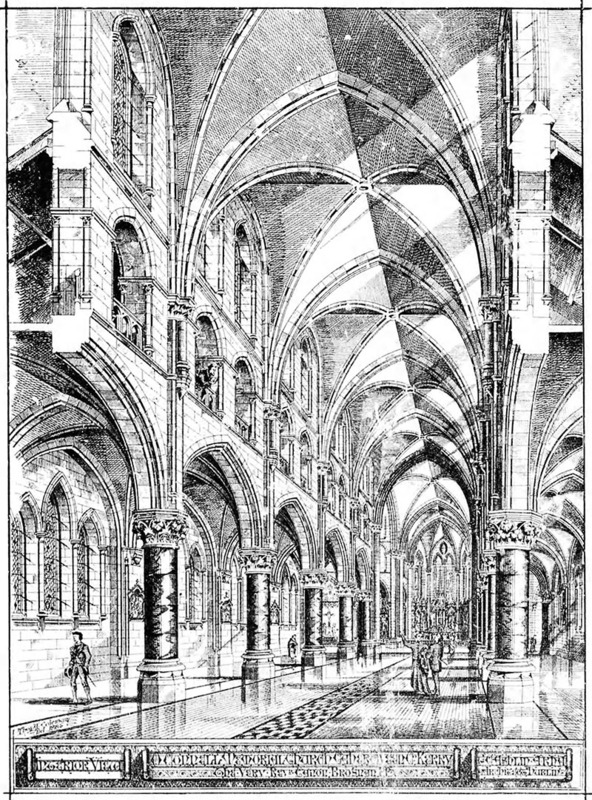 There will be a triforium, or passage, over the ceilings of the aisles, opened to the nave by a long arcade, to which access is gained by a staircase at each side of the west porch. These staircases will also lead to the roof gutters of nave. There will also be a staircase in on eof the turrets of tower, giving access to the various floors thereof to the base of the spire and to the gutters of chancel and transept roofs; this, since there will be access from the triforium to the aisles roofs, there is no part of the roofs which cannot be examined without ladders of scaffolding. The organ gallery will be in the north transept, and will be reached by the nuns (to whose use it will be chiefly confined) by a staircase leading from the choir. There will be a recess for an altar in this transept. In the tower porch there will be two arched recesses opposite the entrance, in which it is proposed to put bas-reliefs representative of O’Connell’s love for religion, and in the pier between these arches the memorial stone presented by his Holiness Pope Leo XIII, will be set. The materials throughout are selected with a view to the monumental, and , therefore, as nearly as possible, imperishable character of the work, and the construction is of the more substantial character. The foundations, which are already built, are of cement concrete, about 11ft. deep; the facing of the walls will be of Minard red stone, the dressing of Kerry white limestone, and the dark bands, &c., of black limestone from Castleisland. 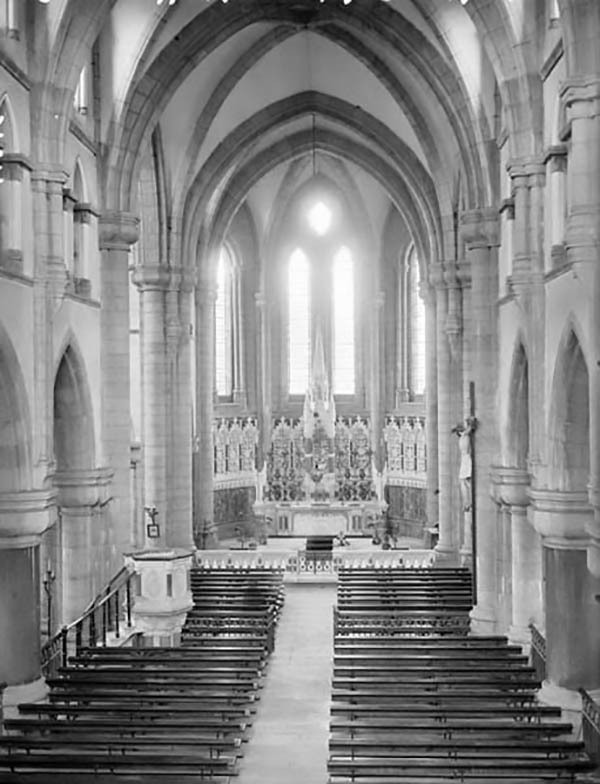 The whole of the ceilings will be vaulted with concrete groined vaulting, the ribs and arches of stone, and the roofs of oak, covered with Valentia slates. It is intended to use Irish marbles in the shafts, floors, &c., to a considerable extent.